Things are speeding up really fast this week as we have a lot of planetary movement going on, and we’re finally stepping out of the haze we’ve been stuck in for the last weeks (thanks, Pisces energy!). This week, love affairs are highlighted, as they have been for the last few weeks, and we’re finally reaching a cycle of completion. 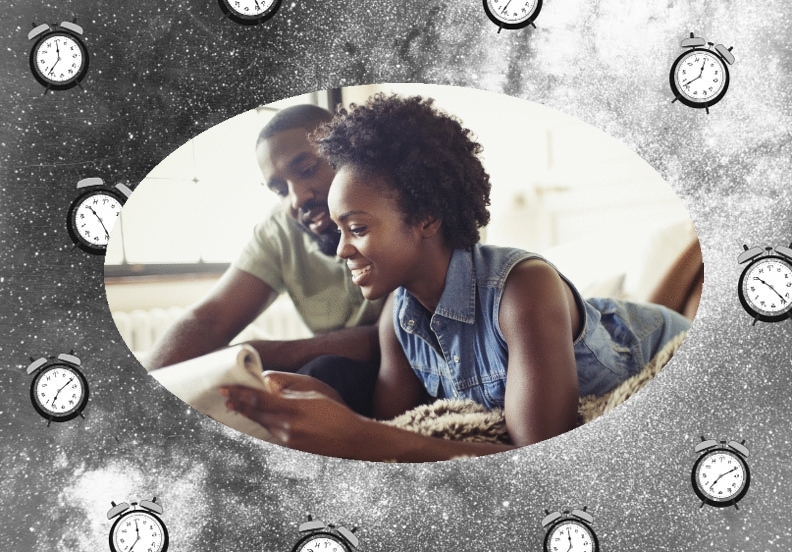 It’s a good time to reflect back on everything that has been going on in your love life since the beginning of March, because we’re reaching clarity, completion, and revelations. Expect a veil to be lifted—is the reality going to match all the fantasies and dreams you’ve had for the last weeks? Now is time to get going—get grounded in reality and grounded in ourselves. It might be a time during which we reclaim our energy, our thoughts, and our passion, and direct all of those things toward ourselves. Lots of healing going on this week as well, especially around the full moon on April 19th. Tell your truth, say what’s on your mind, assert your thoughts, desires, feelings—let it all out and have better boundaries, emotional, intellectual, physical, and spiritual. Let’s take a look at the weekly horoscope for each sun sign, and don’t forget to check your rising sign if you know it. This week is very focused on self discovery, Aries. You’re doing a lot of reflection and could use some time alone to gather your thoughts. Mercury is entering your sign and is going to enhance communication. Relationships are going to be at the forefront this week, so it’s a good time to assess if you’ve been too giving or too focused on your own needs. Work wise, it’s a good week to go after your goals—you have a lot of energy to dedicate to the material. Taurus, your season is arriving soon, and this week you’re tying up some loose ends. You usually like to stay at home and enjoy yourself, and this is something positive for you this week. Take time to retreat and do some well-deserved self-care. It’s a good week to rebalance your habits and your routine. So much energy going on this week, Gemini! You’re flying all over the map. It’s a good time to go out, enjoy your friends, and perhaps meet someone new. Take advantage of all this positive energy and focus on what makes you happy. Lately you have been focused on work and achievements, Cancer, and you’re still very much reflecting on your goals and desires, but this week is also about going inwards, as you so naturally love to do. Go back to your feelings and inner world—you can’t pour from an empty cup, and this week, you’re filling up your cup. You are shining this week, Leo (though when aren’t you, really?). You’re nourishing yourself and nourishing your soul. It’s a good time to go on a trip, or a staycation. You’re craving adventure and new experiences, so seek any opportunity to do so. Virgo, this week is about love and work for you. You could receive new opportunities and you should stay on the lookout for those—and seize them. Realize how your limiting beliefs have been keeping you from achieving your material goals—and get rid of those ideas. Relationships are still important for you this week, so go out, be out and about, and create opportunities. Libra, things have been challenging and eventful to say the least. You’re at a time of great healing, and you’re focusing on retrieving your balance, understanding yourself, and establishing yourself. It’s a good time to ask yourself about boundaries: How are yours? Are you letting other people invade your time, space, and energy? You can expect relationships to take a new turn this week. Stay at home, draw yourself a nice bath, and let your emotions flow out of you, Scorpio. This week is very heart-centered for you, and you’re processing a lot of emotions, thoughts, and events related to passion and romance. The advice of the week is: nourish yourself before you nurture any other situation or person. This week is bringing you breakthrough after breakthrough, Sag. You’re very restless intellectually, and you have lots of ideas flowing out of you. Nurture your body and ground yourself to counter-balance all of that intellectual energy. You have a lot of creativity, too—it’s a very dynamic time for you, and you can get a lot of things done in your life, both in your work and in your relationships. You can expect the week to be eventful both on a psychological and external level. Your energy is extremely focused on the material this week, Capricorn. You’re relentless about your goals, and you’re trying to achieve more security and abundance in your life. Don’t be too hard on yourself, though—don’t forget to nourish your self-worth by making time for activities that make you happy and build your confidence. And remember to have fun—there is no work without play. You’re all about development and abundance, Aquarius. You’re focused on understanding yourself on a deeper level so that you can improve the conditions in your life. But what about relationships? Have you been neglecting them? Have you been too focused on your own goals and self? This week is a good time to restore balance if you feel like you have been spreading yourself too thin. It’s been a wild ride, hasn’t it, Pisces? Well, this week you’re still very much concerned and absorbed with relationships and finding balance between yourself and others, and it’s likely that relationships are going to reach a completion/new level this week. It all started for you with the full moon in Libra back in March, and this week you’re finally closing the loop. Visit www.lookupthestars.com for more astrology from me, and find my Jupiter Retrograde 2019 workbook at www.lookupthestars.com/shop.